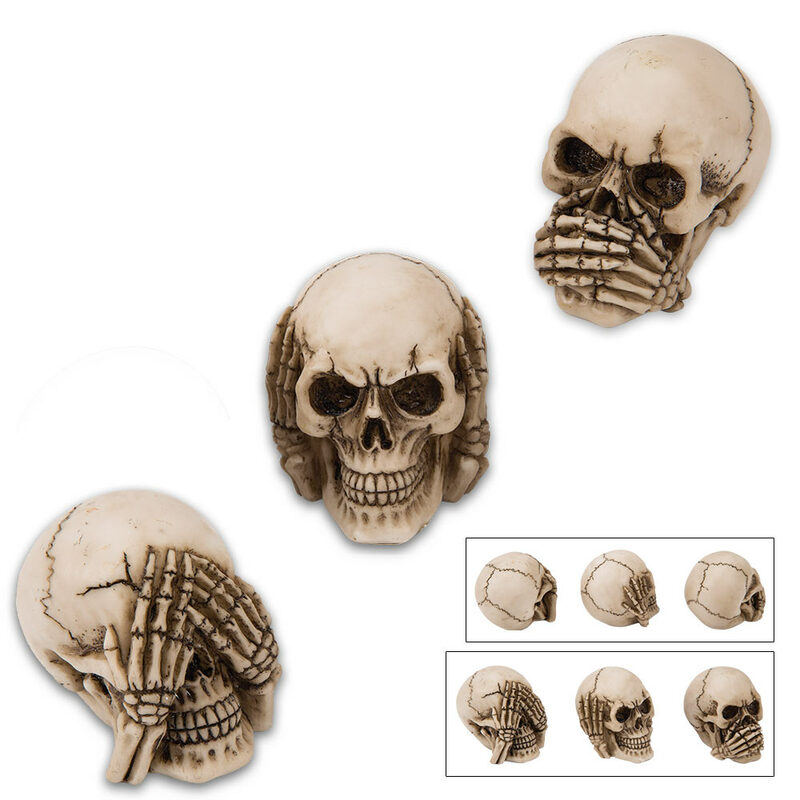 See No, Hear No, Say No Skull Statues | BUDK.com - Knives & Swords At The Lowest Prices! 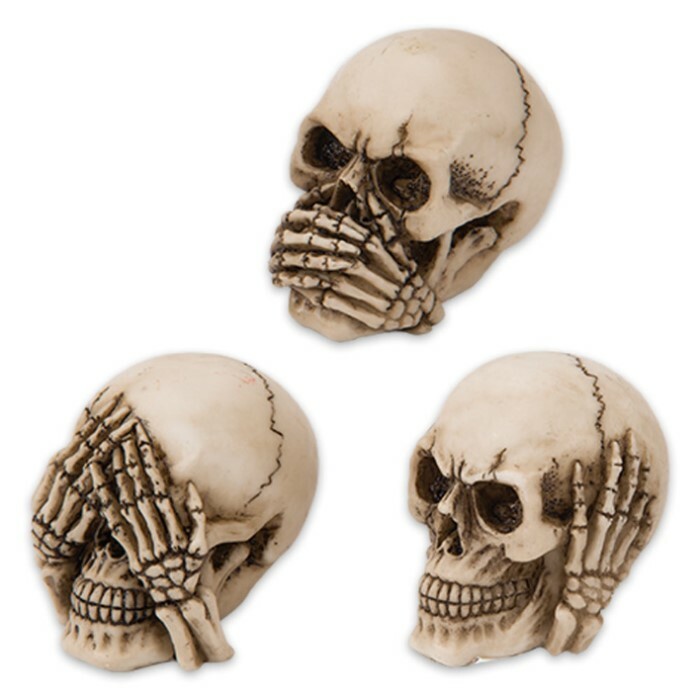 Our set of See No, Hear No, Say No Skull Statues gives the familiar adage an unconventional look that is sure to draw attention and conversation from your guests. 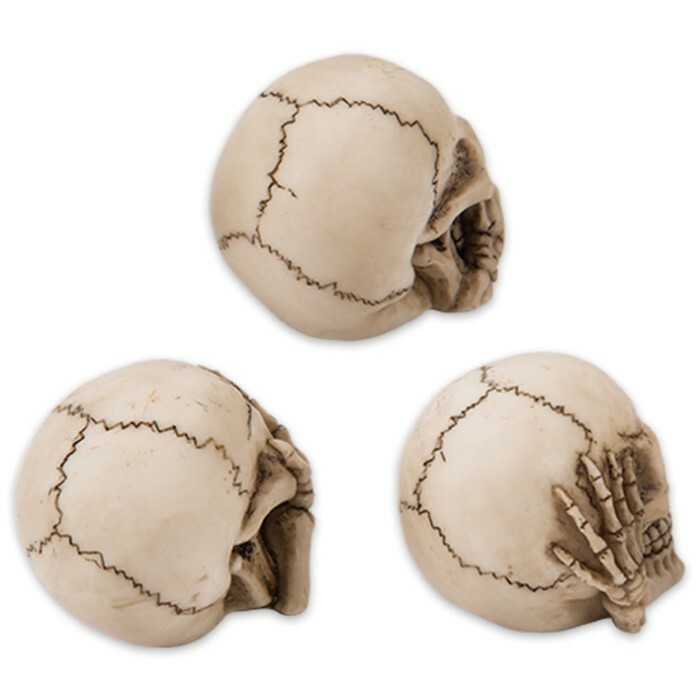 Each miniature skull is expertly crafted in high-quality resin with intricate detailing. The skulls with their skeletal hands posed in the traditional “See No, Hear No, Say No” attitudes have a realistic looking bone texture that is incredible. Fine quality and original design make our home decor collection stand above all others!